Home Games 4 Lessons you can learn from from Overwatch League! 4 Lessons you can learn from from Overwatch League! Stage 2 of Overwatch League has begun! Overwatch League is now in its 6th week of play! The Mercy meta is no more as Stage 2 has rolled out the Mercy nerf. Teams are no longer required to run Mercy for her ability to instant-rez multiple teammates! With the new meta there are lessons we can learn from watching high-level play! Here’s what you can learn from this week’s games! 1. Stay in Line-of-Sight of your team! This tip seems like a no brainer but it’s true! Especially when you need support at a crucial moment, line-of-sight is key! Fuel’s Custa uses his Zenyatta’s Transcendence to try to save his team from a wipe but he was just out of sight of his team to heal them! Presence of mind when you play and you’ll win more games! 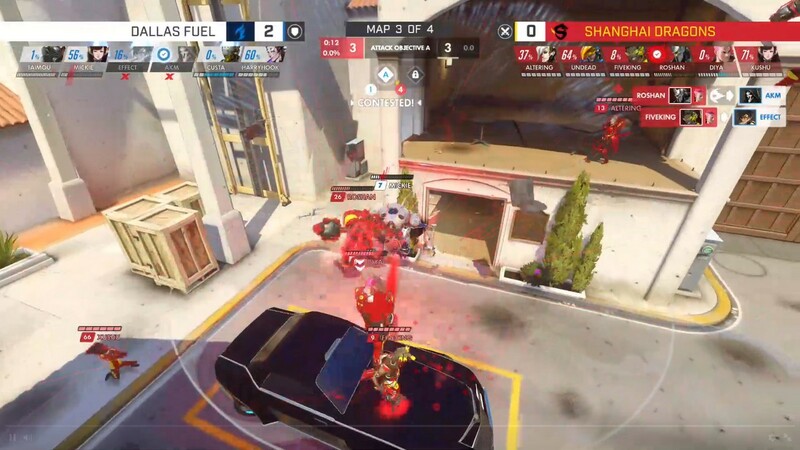 WATCH THE FULL MATCH OF DALLAS FUEL vs SHANGHAI DRAGONS! 2. Map awareness will improve your plays! We’re not always blessed with good team coordination. But that doesn’t mean you can’t keep an eye on the skies! Mayhem’s Tviq gets an awesome rocket reflect to kill the enemy Pharah because he keeps track of what’s happening on the field. Keep your chin up and keep trying your best! 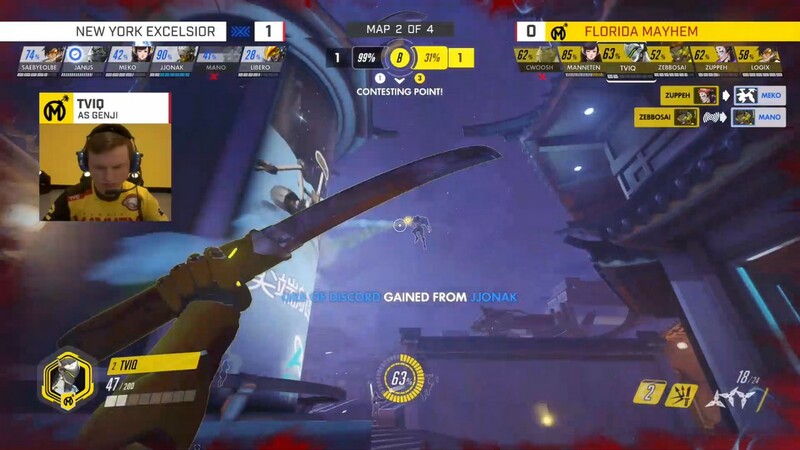 WATCH THE FULL MATCH OF NEW YORK EXCELSIOR vs FLORIDA MAYHEM! 3. Off-meta picks work in the right situations! Outlaw’s Linkzr uses Mei to great effect on this series deciding game! The adorable Mei is usually relegated to a last-resort pick on defense but she puts in the work in this offensive situation! Outlaws just needed to push the payload a little further and Mei was able to lock out Uprising’s defense! It’s not just about meta picks! Always pick the right tool for the right job. 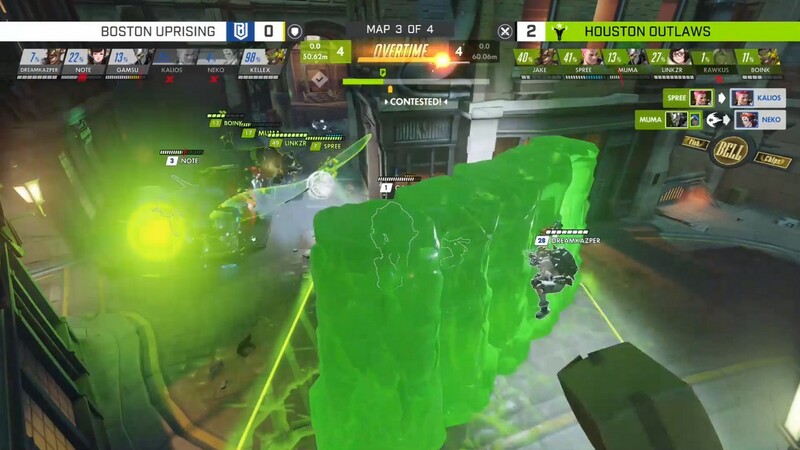 WATCH THE FULL MATCH OF BOSTON UPRISING vs HOUSTON OUTLAWS! 4. Always contest the payload! Don’t be lax even when you’re ahead! Seoul Dynasty dominated versus the Los Angeles Valiant and this point proves it! 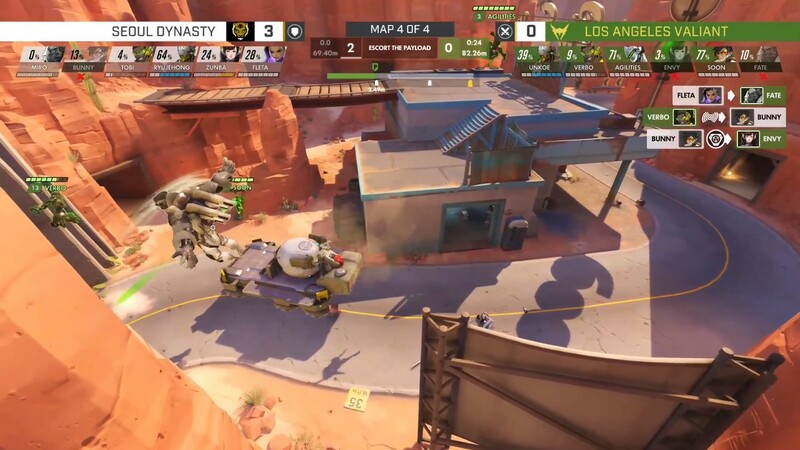 Dynasty’s entire team was out of reach from the payload but Dynasty’s Bunny and Miro used Tracer and Winston’s mobility to tag the payload with just enough time to deny Valiant’s push! Never give up! WATCH THE FULL MATCH OF SEOUL DYNASTY vs LOS ANGELES VALIANT! Watch the Overwatch League at their Official Twitch Channel! Week 2 of Stage 2 of Overwatch League starts 8:00AM (PH Time) on Thursday, March 1st. Follow us here at UnGeek for more of our Overwatch League coverage! Previous articleNokia unveils the Nokia 7 and the oldie-but-goodie Banana / Matrix Phone! Tis the Season… for Cool ROG Gear and Games!